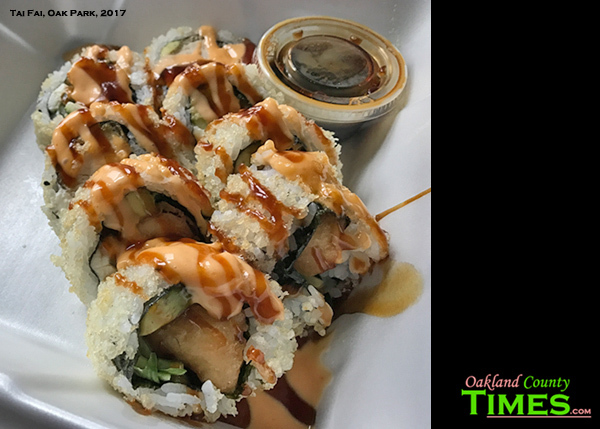 Oak Park, MI – If you are looking for delicious and quick sushi, rice, noodles and other Asian fare, Tai Fai in Oak Park is a great choice. 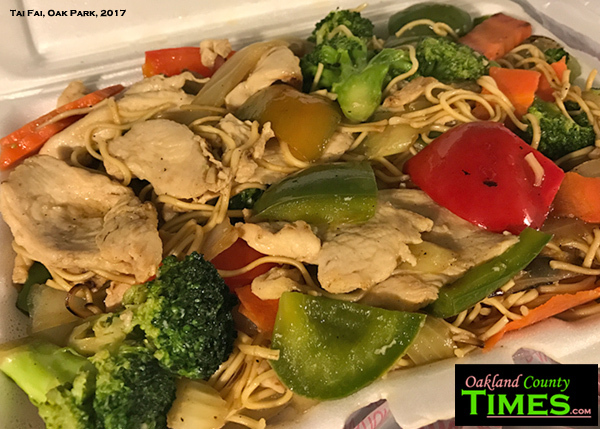 Located at 8505 W. Nine Mile Rd, this tiny take-out joint is packed with delicious options. 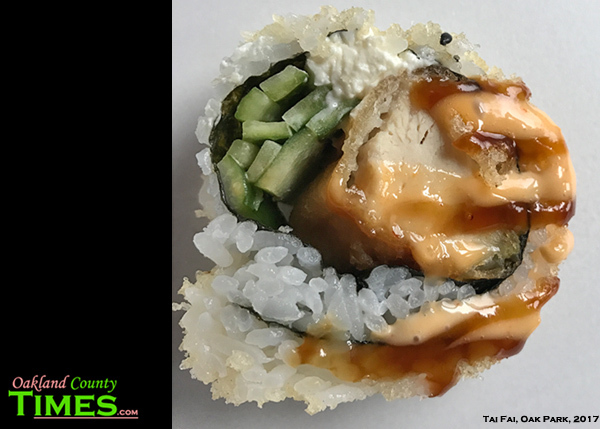 Personally my go-to dish is the Chicken Crunch Roll, which has crispy Tempura Chicken, cucumber, avocado and cream cheese rolled with sushi rice. Another that I like is the Oak Park Roll, which has Crab meat, pineapple, avocado and cream cheese. Their noodle and rice dishes are fantastic as well. I’m partial to beef fried rice and chicken or beef lo mein. I’ve written about Tai Fai twice before. Once was for their anniversary celebration and expansion to doing catering. That event included dancing dragons! 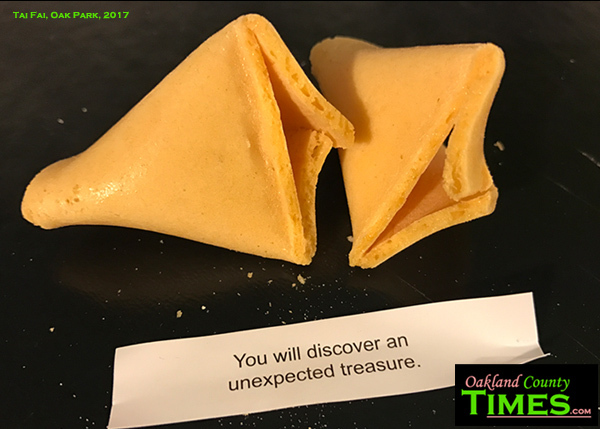 Check out the fun pictures of that at http://oaklandcounty115.com/2014/09/01/tai-fai-in-oak-park-celebrates-anniversary-and-expansion/. The other time was to highlight a pay-it-forward program they have where customers buy items that others can enjoy. This is great for people to try new things, or for people who struggle to have access to food. 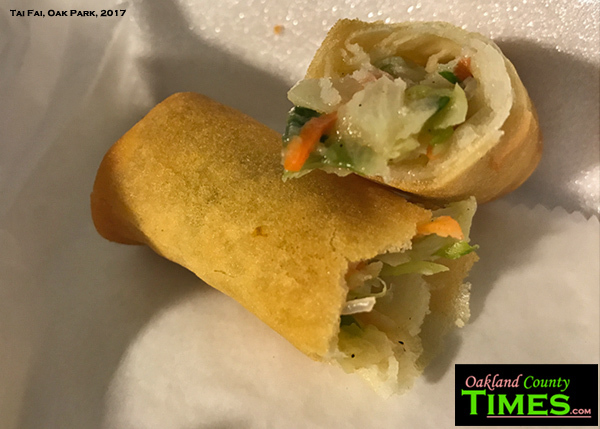 Read about that at http://oaklandcounty115.com/2016/02/01/delicious-kindness-at-tai-fai-in-oak-park-as-customers-pay-food-forward/. Check out other Reporter Food Columns at: http://oaklandcounty115.com/category/food-blogs/.